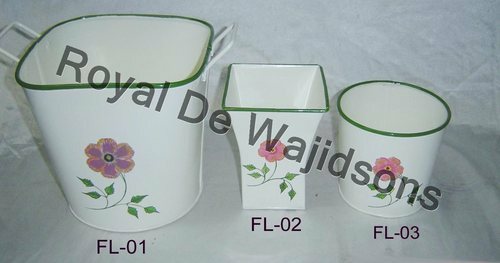 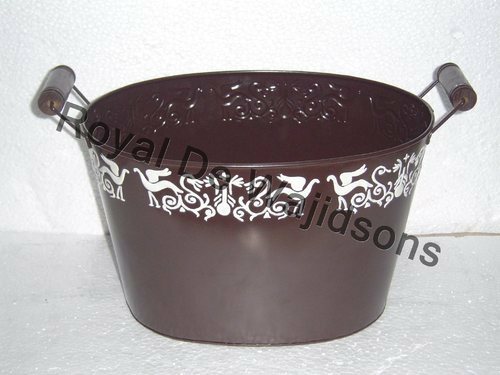 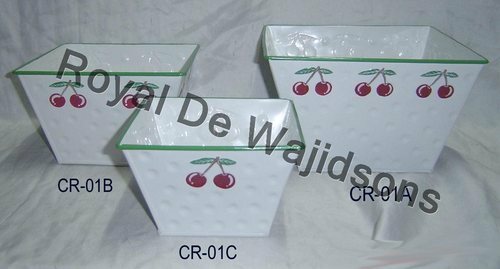 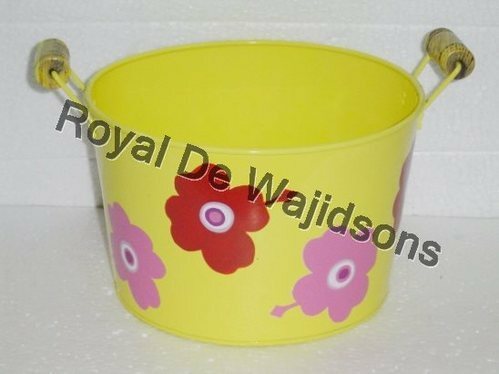 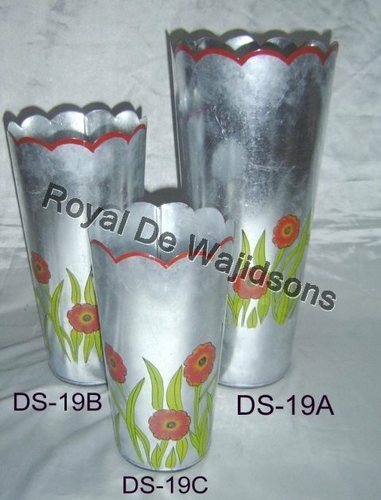 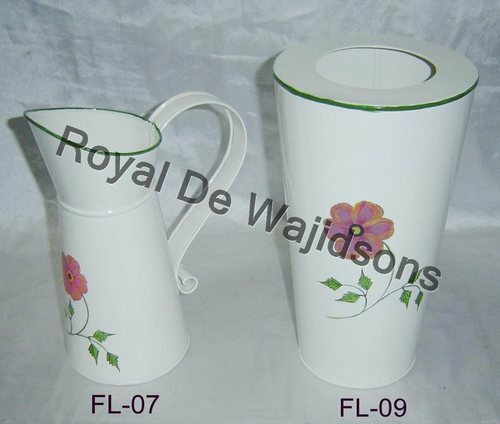 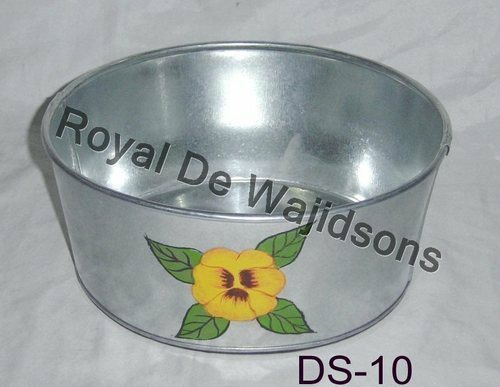 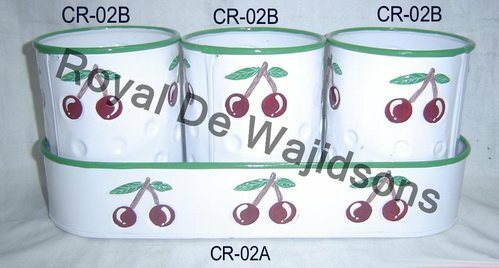 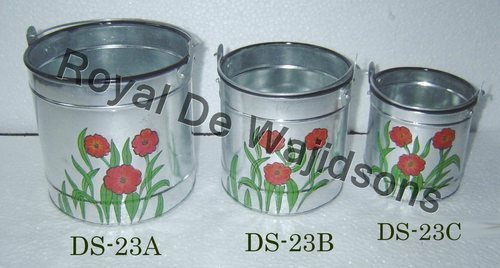 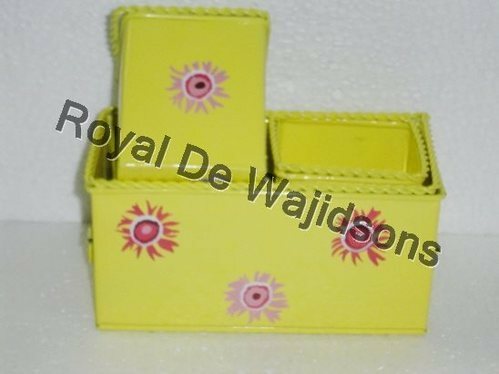 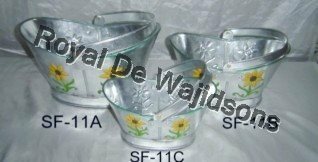 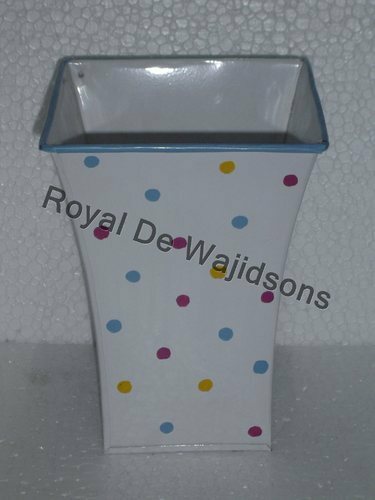 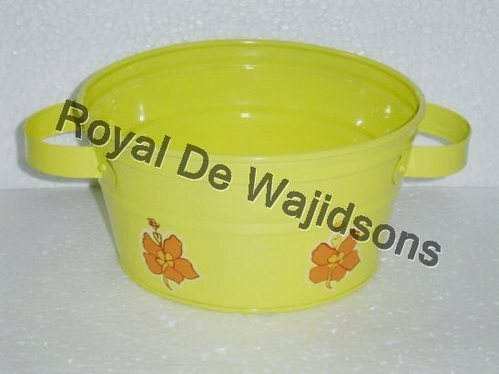 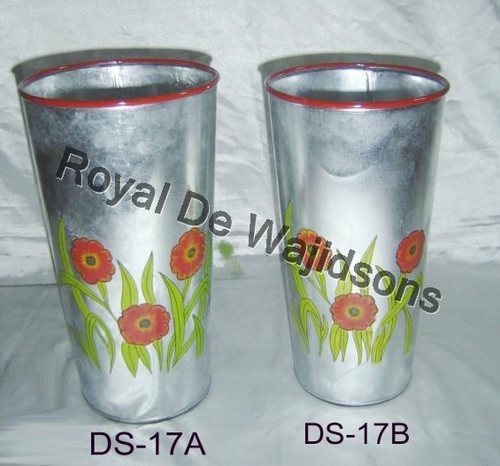 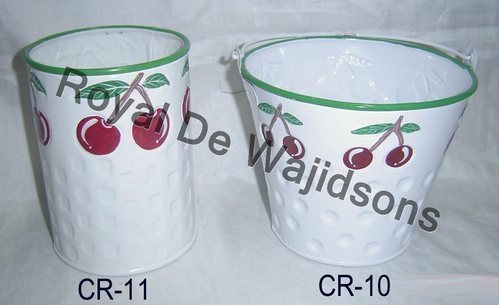 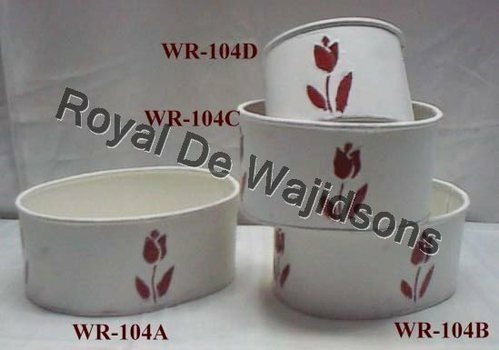 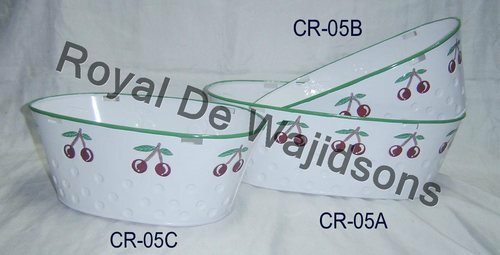 Leading Manufacturer of florist bag handpainted, hand painted planter pot square, 3 pot tray cherry motif, cherry planter metal, tub handpainted and water can zink handpainted from Moradabad. 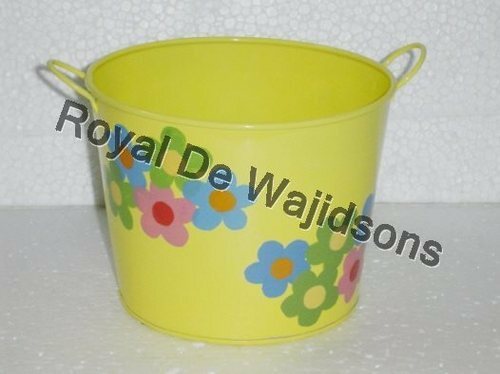 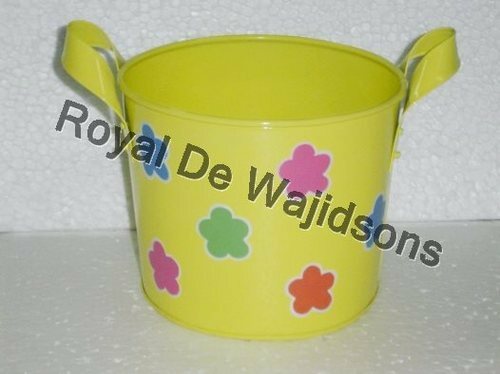 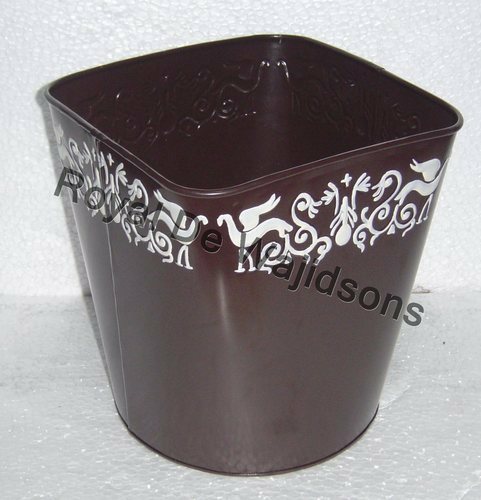 We offer the best and superior quality planters and bags in the market. 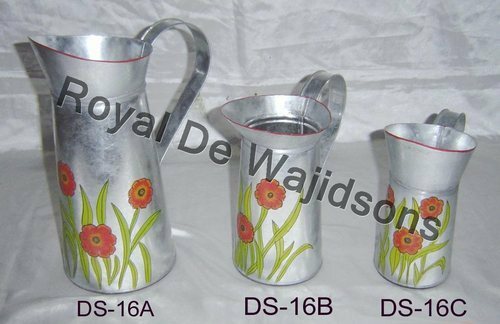 This beautiful hand painted florist bag will bring elegance and grace to your interiors or garden. 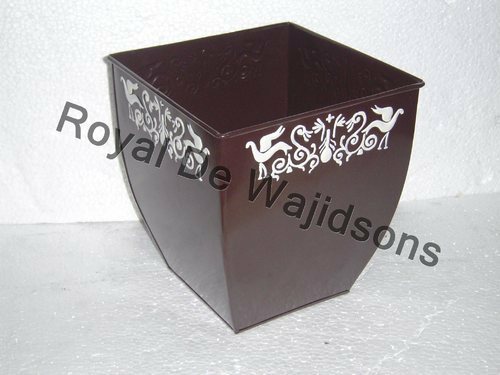 The planters showcased by our company are of the highest florist quality. 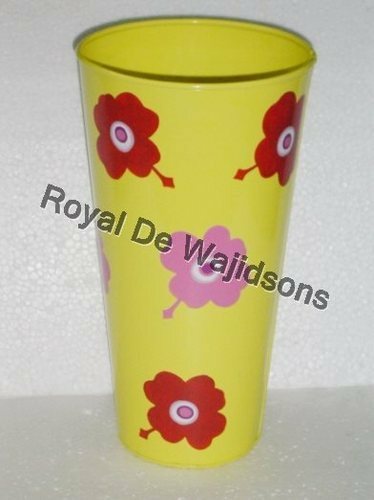 The entire appearance is so refreshing and unique. 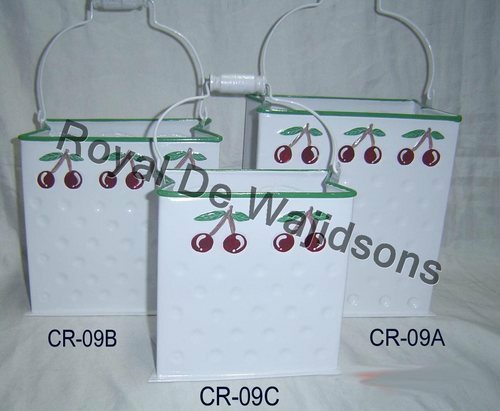 The plants in this bag will look attractive and stay lively for a long time. 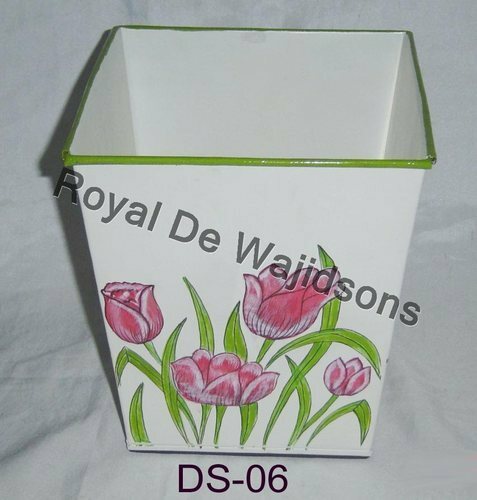 Our designs snug in perfectly with your lifestyle and make your plants bloom. 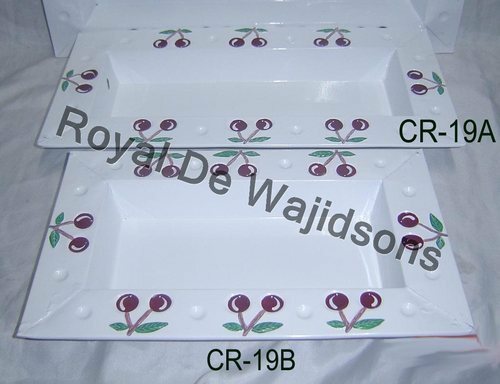 Handpainted 3 pot tray set. 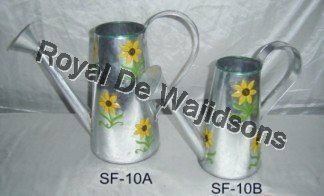 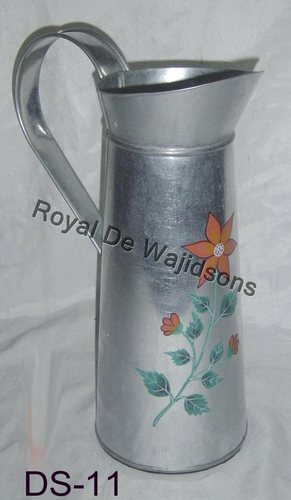 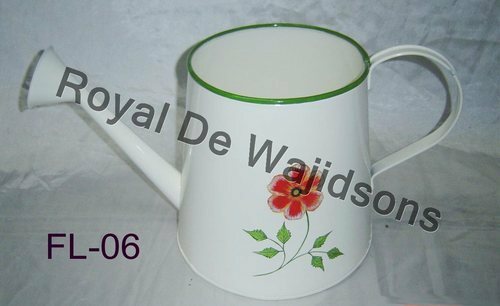 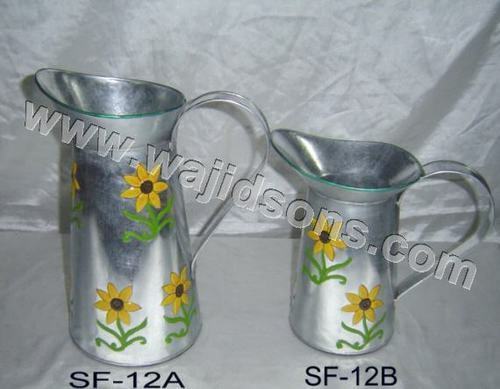 Floral hand painted watering can.